The currant is one of the most appealing dried fruits. The U.S.A , Australia , and Greece are the main producing countries. Currants are a powerhouse of nutrition. They are low-fat, cholesterol-free and high in protein. 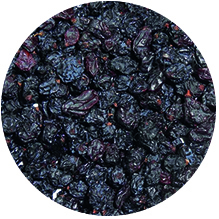 Dried currants are also an excellent source of nutrients healthy, and contain copper, manganese and potassium. Similar to other dried fruits like raisins or figs, currants are a source of both soluble and insoluble fiber. Currants are widely used in the confectionery, baking, and health food industries. They can be mixed with various types of nuts and be eaten as a snack.